A recent NPR story by Dan Charles featured the perennial grain called Kernza. Headlined “Can This Breakfast Cereal Save the Planet?” the story looked at Kernza’s benefits to the soil, which include preventing erosion and sequestering carbon; the scientists at the Salina, Kansas-based Land Institute who developed and are continuing to work with Kernza; and efforts by General Mills, the maker of Wheaties and Cheerios, to turn the new grain into cereal. Kernza-wise, CFAES scientist Steve Culman and his colleagues are studying the grain as well, including as part of a multistate study. Read more on their work here and here. Get ideas for the coming growing season at CFAES’ Small Farm Conference and Trade Show. Set for March 29-30 at CFAES’ South Centers in Piketon and with a theme of “Opening Doors for Success,” the event will offer ideas for how your farm can work even better for you. About 30 sessions in nine tracks will cover a variety of topics, from pawpaws to aquaculture, hydroponics to growing mushrooms, soil health to marketing to a produce cooler you can build yourself—“a cool bot system for the farm.” The first day offers a workshop on hops and a training session on meeting requirements of the Food Safety and Modernization Act. See the agenda and list of sessions. Find out more about the sessions. Registration costs vary. Find complete details and register online. 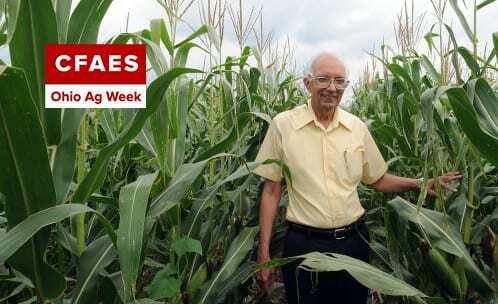 CFAES’ Rattan Lal, esteemed soil scientist in the School of Environment and Natural Resources (SENR), recently achieved an unusual triple crown, winning the prestigious World Soil Prize, World Agriculture Prize, and Japan Prize in the span of about four months. How do you spell farming success? Every year, more than 100,000 farmers, their families, their friends, and other agricultural professionals—enough people to fill Ohio Stadium—go to CFAES’ Farm Science Review. There, they visit more than 600 exhibitors from CFAES and industry, who share their latest research findings, new tractor models and other farm equipment, harvesting demonstrations, and more. It’s a celebration of agriculture in Ohio, a way to keep improving the industry, and also includes activities geared to small farms and conservation. Read a wrapup of last year here. See a photo feature on last year’s Review-goers here (anyone you know?). Visit the Review’s website here. 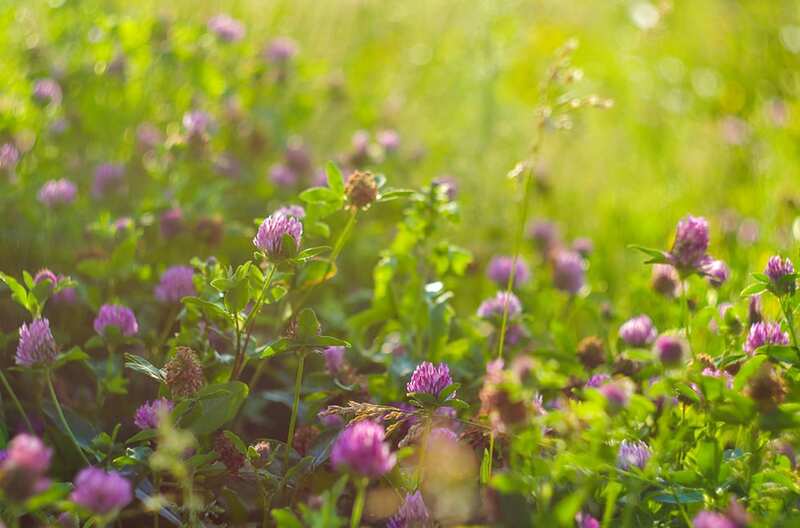 Wilmington College in southwest Ohio plans a two-part Cover Crops Symposium on Thursday, March 21. The college’s Agriculture Department, CFAES’ OSU Extension outreach arm, and the Clinton County Soil and Water Conservation District are the sponsors. At last count, nearly 18,000 farmers and others have successfully completed Ohio’s Fertilizer Applicator Certification Training. 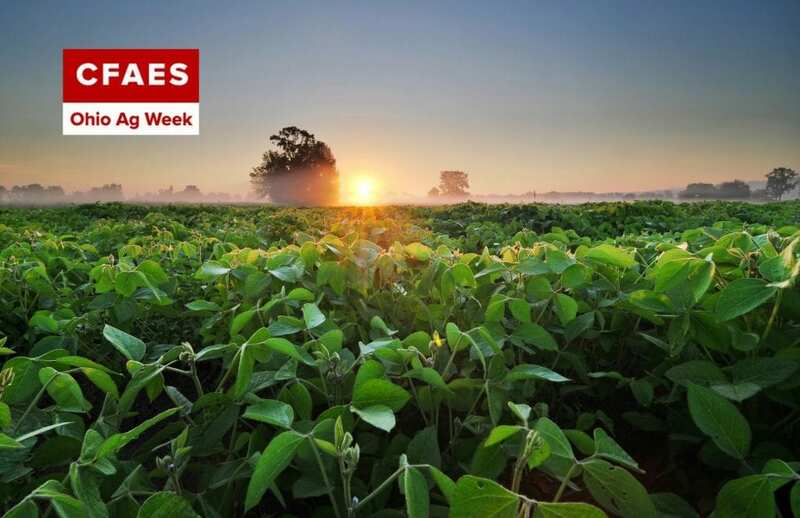 Provided by CFAES’ OSU Extension outreach arm, the state-required training shares science-based ways to keep nutrients in a field, where they work to feed crops, and out of water, such as Lake Erie and the Gulf of Mexico. Phosphorus and nitrogen are two of those nutrients. In the Maumee River watershed in northwest Ohio, farmers are partnering with scientists to study fields with elevated phosphorus levels. Are the fields contributing disproportionately to Lake Erie’s harmful algal bloom problem? Phosphorus runoff is a driver of the blooms. The study hopes to find answers, and then it plans to evaluate farming practices that could help—practices that reduce the runoff of phosphorus from the fields and also maintain the fields’ yields. Water quality and food production both stand to come out ahead. Aaron Wilson, climate specialist with CFAES’ OSU Extension outreach arm, presents “Recent Weather Trends & Future Resilience for Farms” at the Ohio Soil Health Symposium on March 26 in Shelby. Read what he said about our wet year last year here, and learn about a new app he helped develop—one that tells farmers the best times to apply fertilizer and manure to avoid rain—here. Dig further details about the symposium. Chris Winslow, director of the Ohio State-based Ohio Sea Grant program and CFAES’ Stone Laboratory at Lake Erie, is among the speakers slated for a March 13 water quality meeting in Wapakoneta. The event will look at recent research—on harmful algal blooms, nutrient management, and more—and what it may mean for decisions made by farmers. The host is the Farmers Alliance LLC. Read more.